Ask anyone you know to explain to you what they envision when you say to them “imagine a commercial truck.” One would likely to hear a myriad of answers from 18-wheelers to classic big rigs and everything in between, However, chances are that one may very well hear a description of a fairly standard straight box truck, otherwise known as a bobtail truck. Although the trucking industry is evolving to see several different types of trucks and trailer combinations, the bobtail truck is one of the most classic and effective commercial vehicles on the road. Even as the electric vehicle sees prominence and the notion of self-driving trucks are passed around and tested in California, the bobtail truck seems to be going nowhere. It’s difficult to pinpoint why exactly the bobtail truck has seen the ability to thrive over the years, but it’s clear that the popularity of the truck seems is still going strong. 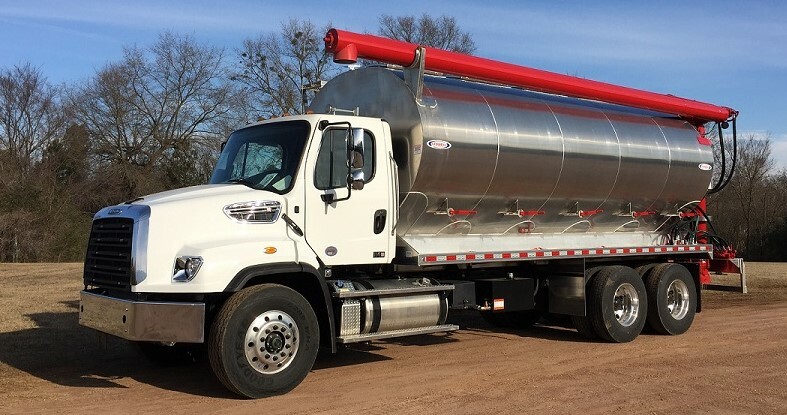 As trucking jobs that still require less-than-truckload runs or propane runs still exist, bobtail trucks will no doubt see a strong presence on the roadways of the country. What Exactly Is the Bobtail Truck? Simply defined, a bobtail truck is a standard commercial straight struck generally used for small-medium sized loads. The vehicle is so named because it has a “bobbed” trailer, or a trailer that is somewhat shorter than others (appearing as if the back end of it has been lopped off.) In this model, all of the axels on the truck are attached to the same chassis, giving the vehicle an even more compact appearance and operation. A bobtail truck can also refer to a trailer hauling a more modest propane load, a straight truck that pulls a tank that is smaller and not as unwieldy as some tanker vehicles are. Some drivers will haul a propane bobtail in their truck driving job to assist a larger tanker. Acting as ancillary units in oilfields for areas such as Texas, these bobtail trucks help shoulder the loads that a larger vehicle may face. A common version of the bobtail truck that one might see is a rental that one without a commercial license could operate from a business such as Penske or U-Haul. While these do not require professional drivers to get behind the wheel, they are nonetheless a familiar model of commercial trucks that Americans frequently find on the road. Of course, commercial driving opportunities exist for these trucks as well, with many local companies utilizing this particular equipment to haul freight. It’s not uncommon to see these trucks operating around a town setting for various purposes rather than making OTR runs. One of the most common instances in which a bobtail truck would be utilized would likely be for a small delivery that is making a relatively short trip overall. Generally speaking, employing a bobtail vehicle is meant for truck driver jobs that are local, perhaps even those that are slightly too difficult for a regular truck or a non-commercial vehicle to handle. Though there is no specific size of company that will necessarily favor the smaller-scale vehicle, many large and established business regularly use trailers that are anywhere from 53 – 45 feet depending on their needs. The lion share of those who use bobtail trucks are smaller trucking companies with more modest needs as well as those outlets that require more specialized routes for their deliveries. Those who are non-industry professionals may also operate these more compact vehicles, often when moving their belongings to a new location or when an object is too large for a pickup truck. With this is mind, one cannot always assume that the person in the first seat of a bobtail truck possesses anything more than a Class C license. In short, not all bobtail trucks are used for what the industry defines as commercial transportation, nor does every operator constitute what is often seen as a professional driver. Driving a bobtail truck is not vastly different than getting behind the wheel of a big rig of more substantial size, but it certainly may present some unique trials when transitioning to the bobbed truck. Less size, less power: Due to the inherent nature of this means of transport, a bobtail truck will simply not be endowed with as much power or as much agency as a larger semi-truck. While the power under the hood of the truck is nothing to sneeze at, some drivers are used to a superior motor behind the larger semis. Beware weather conditions: When driving this type of vehicle, one needs to keep in mind the potential hazards that snowfall and ice can present to the more humbled rig. If one is driving through the Midwest and making a stop in Illinois during the winter, it is important to think about the potential challenges that a bobtail truck may face. Similarly, one must think about the extreme conditions in a place such as Florida where strong winds and storms may greatly impact the roads. Road Awareness: While no other drivers will likely have a difficulty literally seeing you on the road, they may have trouble identifying you as a non-passenger vehicle that faces some restraints and difficulties. To the average motorist, your rig may simply appear to be a large pickup, without an understanding of your limitations by way of visibility or speed-related issues. Despite what may seem like a large list of limitations, these vehicles are nonetheless incredibly useful for many situations and find usefulness in a wide array of transportation situations throughout the country. Why Is the Bobtail Still So Popular? When it seems as though there are so many options and alternatives within the modern landscape of trucking, one may wonder how or why the bobtail truck is still such as favored vehicle. The long and the short of it is that bobtail trucks are so incredibly versatile for so many different situations that one might encounter. Whether one is loading the vehicle to full capacity or simply needs the space that the trailer can provide for maneuvering a cumbersome item, a bobtail truck will do in nearly any case. Secondly, the versatility of the truck may also lend itself to the ability for a driver to use the truck in many different areas, and not simply just different states. A bobtail truck has the ability to maneuver down highways and interstates, but it is also incredibly useful in city settings. Generally capable of going down alleyways and parking behind storefronts, for example, a bobtail truck is a reliable ally to the small businesses and smaller outlets of the United States. While those who drive 53’ foot vans must devise a plan to park their rig in a place that does not obstruct traffic, the less enormous vehicles do not often face this woe. Lastly, bobtail trucks may provide the familiarity of non-commercial vehicles to those who are not yet immersed in the world of driving. 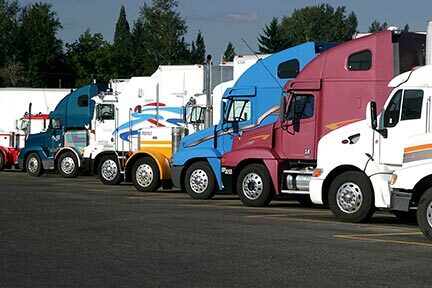 Though driving one will require some familiarity and training that goes along with a commercial driver’s license and certification, many find that operating a bobtail truck is a simple transition from driving a larger scale passenger vehicle to what is considered a commercial truck. Some drivers can then orient themselves towards trucking with other combinations. While perhaps not the most common position on the road, box trucks still need truck drivers in the hot seat to ensure that the vehicle is driven properly and safely. 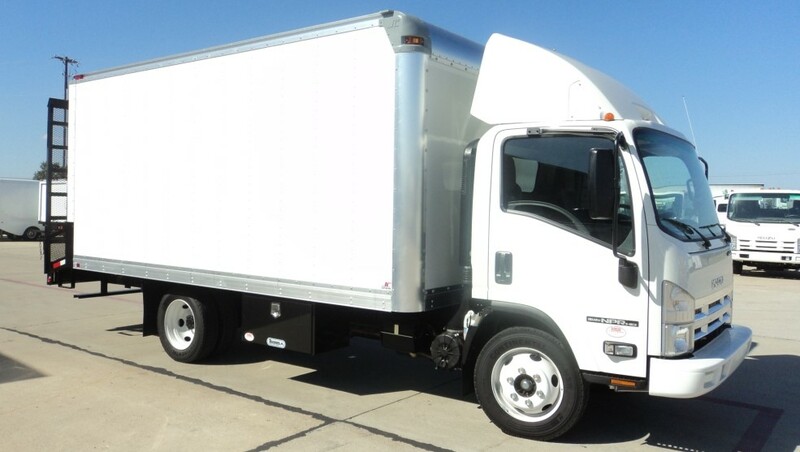 Many individuals who find a career operating this straight truck will likely complete local runs or short dedicated runs for various business. As this model is not necessarily built for long-distances, drivers will not likely find themselves making over the road runs. With no sleeper cab and often very little room in the trucks, driving them for long distances can present challenges and may simply not be practical for long hauls. One might expect that a position with a shortened straight truck will find them in high demand, but likely a career that presents last-minute jobs or needs from customers that may not be entirely predictable. This can mean excellent miles for the operator, but consequently a more difficult work-life balance. Bobtail trucks can be seen across the country in various scenarios that find people receiving deliveries, moving their belongings or simply moving from point A to point B, ready for a qualified individual to get behind the wheel. Like the general pickup or a sedan for non-commercial motorists, the bobtail truck isn’t simply a standard, it’s an industry necessity for many reasons.Despite several shake ups and changes to the industry overall, it seems that there are some things that have no intention of fading away.